This week’s #MondayMashup includes articles on blog tools, guest post pitching, finding influencers on Twitter, republishing content on LinkedIn Pulse, and more. 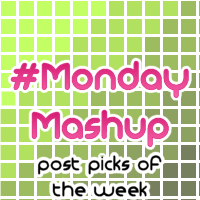 #MondayMashup is curated when I have free time, and can share some great picks from around the blogosphere. Unfortunately, I’m no longer taking suggestions for this series because I read so much in a week, and have a ton of emails pitching to me to include their pieces. I’ve resorted to just sharing those pieces, as few of them make it onto my roundup. 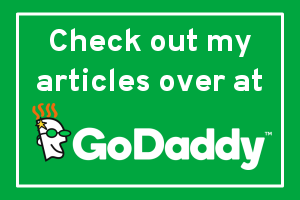 You more than welcome to suggest general websites, not individual articles, that may produce regular content, that I can add to my resource list. In the mean time, here’s Volume 11 for 2016. Ian Clearly shows us How to find influencers on Twitter. Tammy Cannon teaches us How to Set Up Google Analytics Goals for Facebook Ads. Adi Purdila instructs how to Remove Unnecessary CSS With PurifyCSS and Grunt. What did you enjoy from this week’s #MondayMashup? You have made amazing list to explore infinite beneficial knowledge pertaining to blogosphere. Mostly, i enjoyed Social media section in your Monday mashup 2016 – marketing lesson from 2016 election is amazing. Eventually, thanks for spreading wonderful information for us. Hi NILE, In your monday mashup list, I enjoyed Deborah Anderson’s post that’s about digital agencies, building a brand and marketing strategy as it is very helpful post for me, as I am also a blogger. first of all, a huge applause to all your contents. I enjoy reading your contents, especially MondayMashup which has recently caught my attraction. This Monday Mashup is the best, I got 3 of the best contents which I enjoyed a lot. Hoping to see more, thank you again.